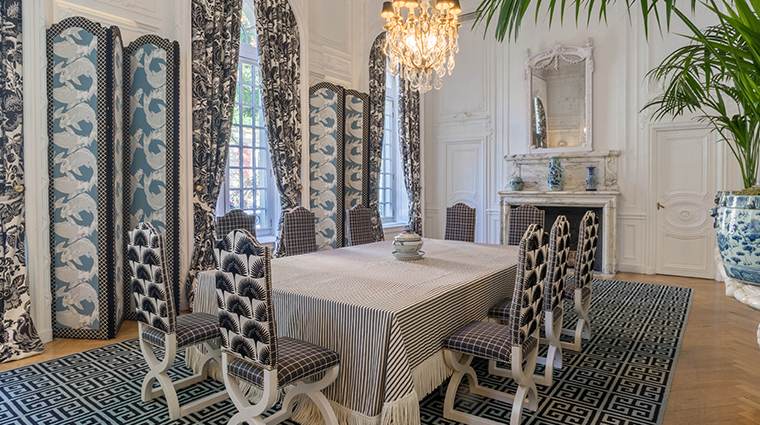 Originally the palatial home of the influential Duke of Santo Mauro, this 19th-century abode toes the line between Madrid’s past and present. 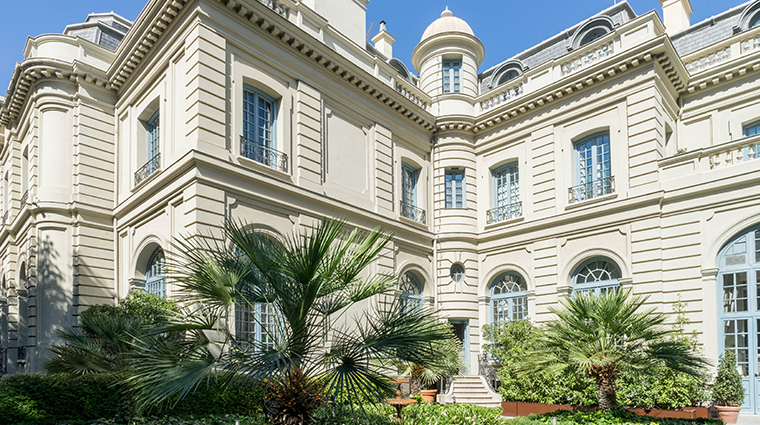 Located in the historic Chamberí neighborhood, this former palace is surrounded by regal homes, but is also just around the corner from the city’s main shopping thoroughfares and attractions. 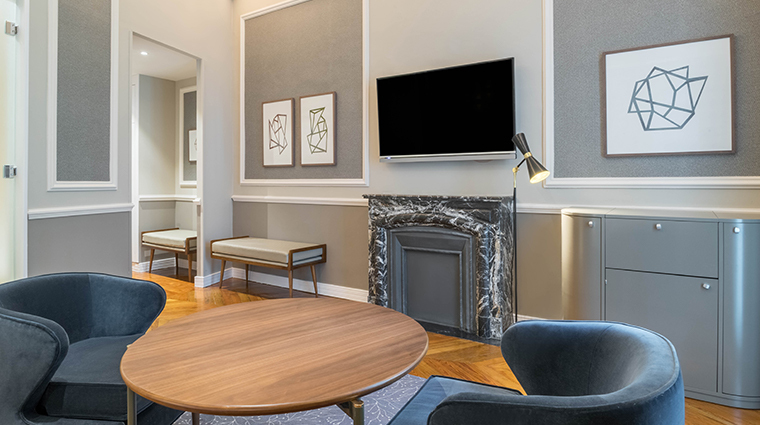 The property has been a popular stay for nearly three decades, but is now experiencing a renaissance thanks to a recent remodel by Spanish interior designer Lorenzo del Castillo. 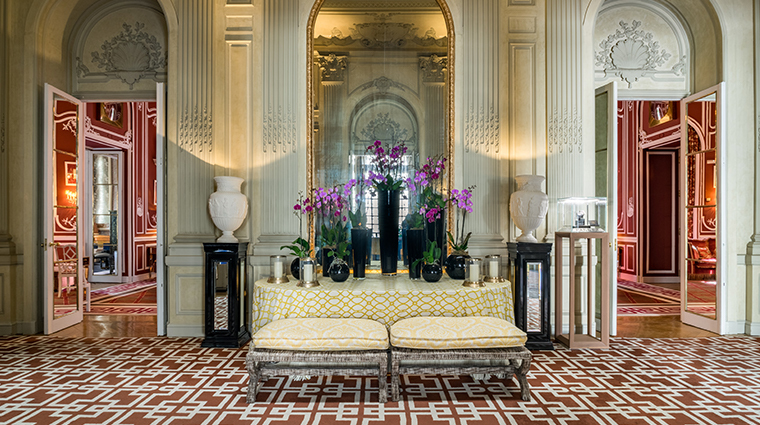 Stepping into the entrance hall, decorated every day with fresh flowers, transports you back to the belle époque era of luxury and nonchalance in old Europe. The former ballrooms, now part of the modern-day lobby and public spaces, and the main staircase are simply fascinating to behold. 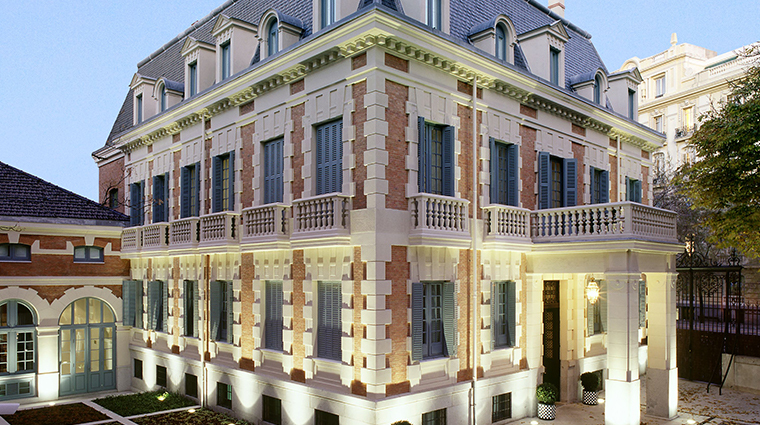 Three historic structures make up the luxury hotel: the noble building, the duke’s original residence; the mansion, where the duke’s daughter used to live; and the stables, which have been renovated into independent rooms. The former ballrooms have been converted into two different public spaces. 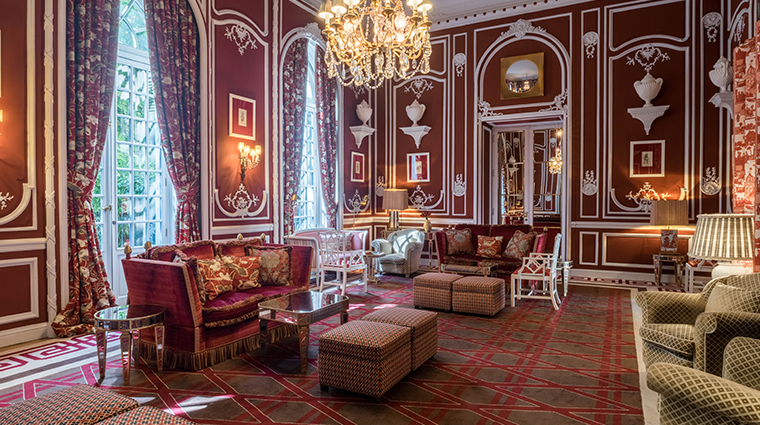 The Red Lounge is embellished in an elegant 19th-century French style, complete with original furniture, while the Chinese Lounge offers an exotic look with Oriental antiques. The duke’s former library has been restored and now functions as the Santo Mauro’s La Biblioteca Restaurant. Having breakfast in this sophisticated venue is such a unique experience. 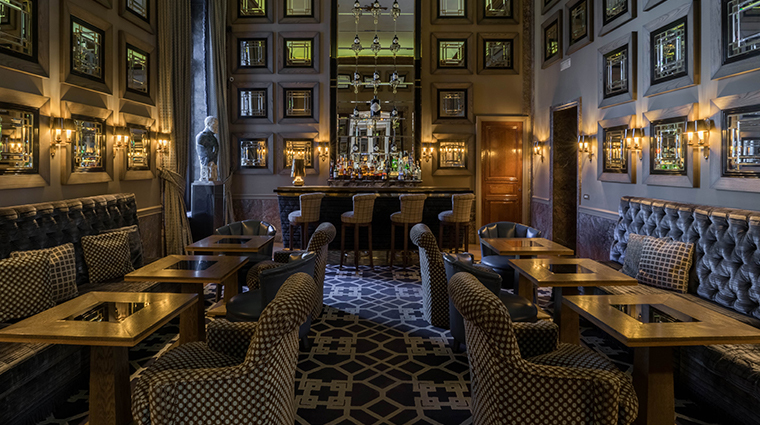 Giving off an art deco flavor, The Gin Bar has become a hot spot for local gourmands in Madrid. 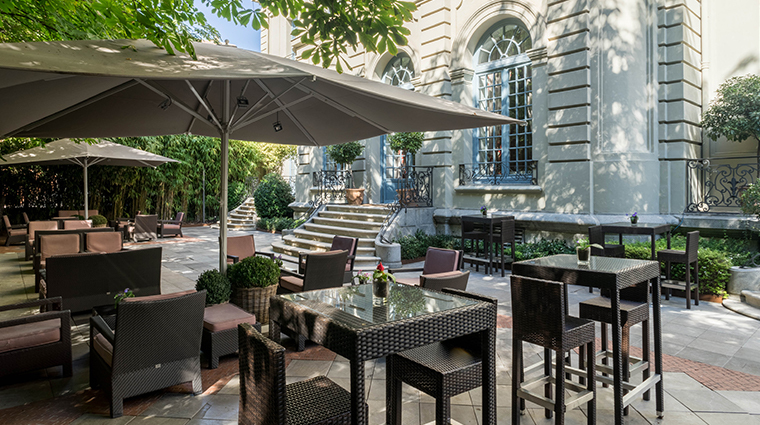 This fashionable place is great for enjoying a casual lunch or a pre-dinner cocktail. 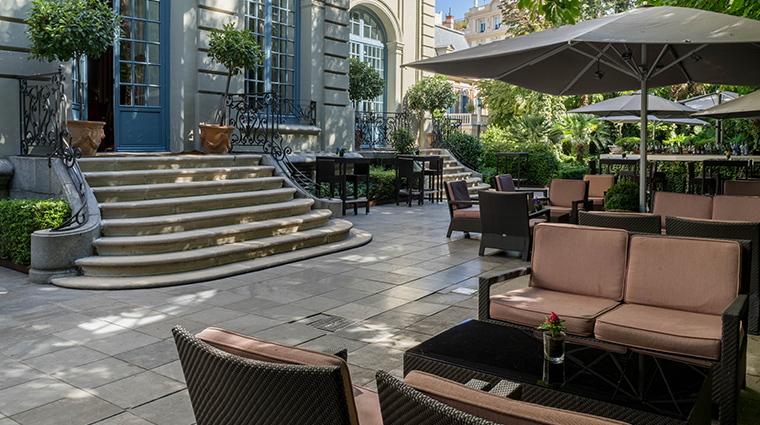 The palace’s private garden provides a serene respite from the city. It’s also an in-demand venue for cocktail parties and events during the summer. Although the lobby and grounds are impressive, the rooms lack the historic charm found throughout the rest of the property. 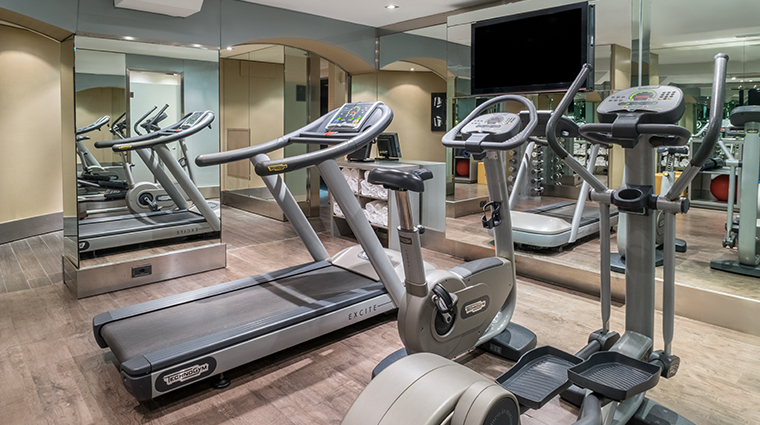 Hotel Santo Mauro is a popular locale for weddings, product premieres and fashion events, so be sure to book ahead, especially during the spring or fall. 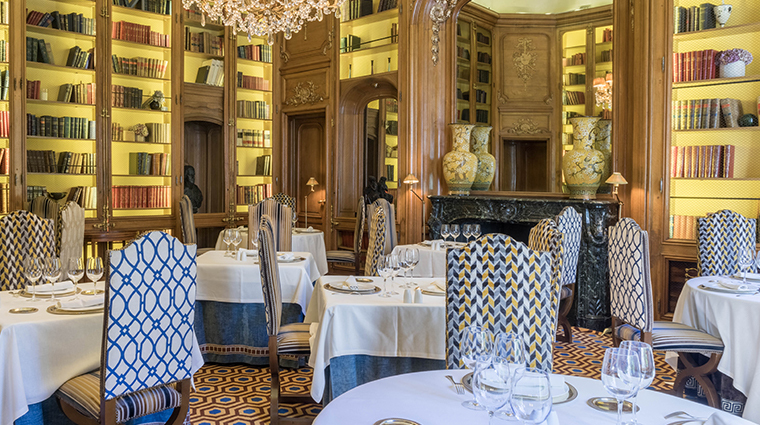 The palace’s former chapel has been restored as a private dining room with its own wine cellar, which is a fantastic setting for a more intimate meal. 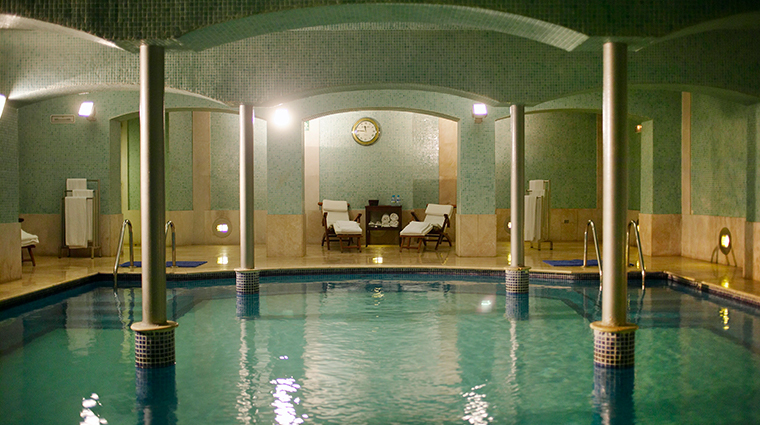 Keep in mind that it’s mandatory to book this romantic place in advance. 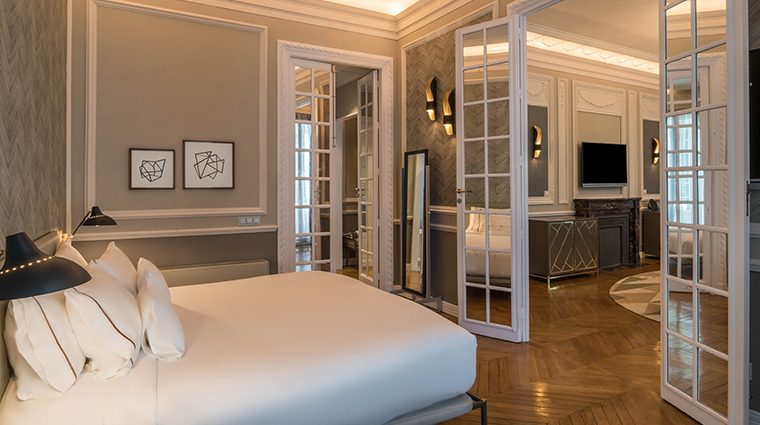 The Madrid hotel’s 49 guest rooms and suites offer a home-away-from-home vibe with a calming color scheme (light green, grey and brown), cozy furniture and modern art. Rooms at the former stables are surrounded by lemon trees and a small vegetable garden, where the staff grows different aromatic herbs that are used at the hotel’s restaurant. White marble bathrooms come with oversized soaking tubs, lighted makeup mirrors and luxe toiletries from Natura Bissé. 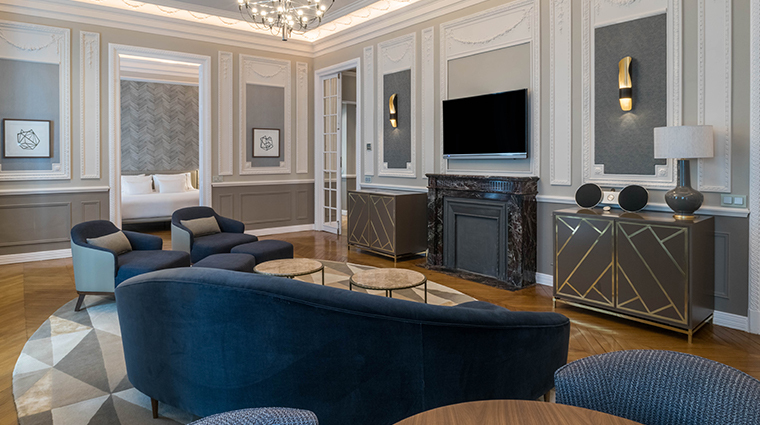 Live like a duke or duchess in the 1,400-square-foot Royal Suite. In addition to two full bedrooms, floor-to-ceiling windows and posh décor, you’ll enjoy personal butler service throughout your stay. 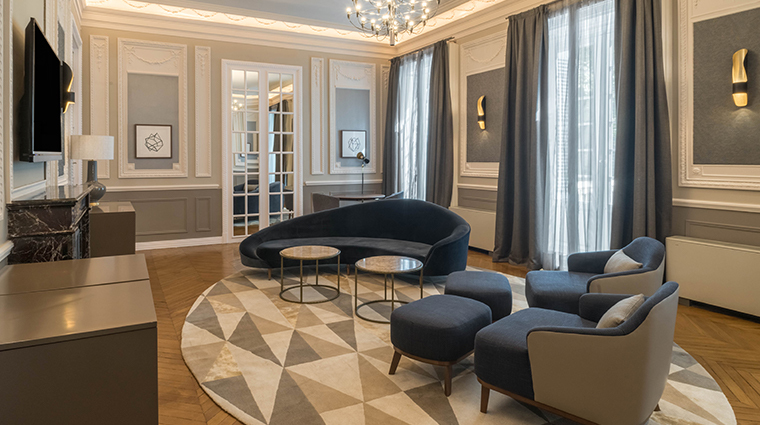 Hotel Santo Mauro is in Chamberí, a tony district characterized by magnificent buildings, picturesque churches, embassies and boulevards made for scenic afternoon strolls. 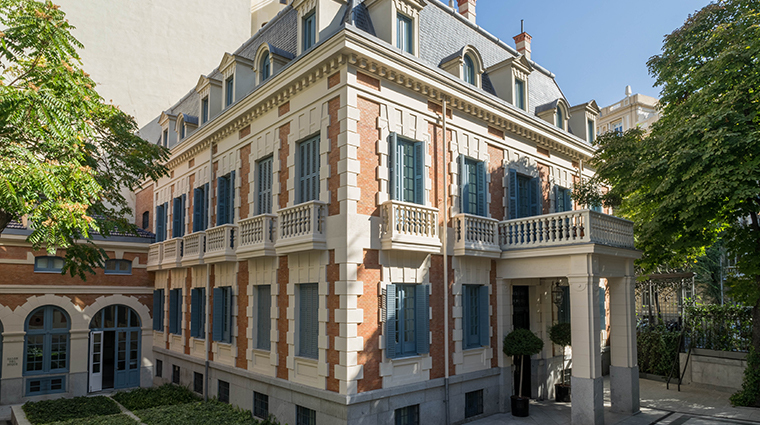 Just a six-minute walk from the luxury hotel, you’ll find Museo Sorolla, a museum dedicated to its former occupant, impressionist painter Joaquín Sorolla. There are some fine restaurants around Hotel Santo Mauro, from trendy places like El Columpio or Luzi Bombón, to traditional eateries such as Las Reses. El Mentidero de la Villa, a classic spot well-known for its Mediterranean and French cuisine, is a winner. 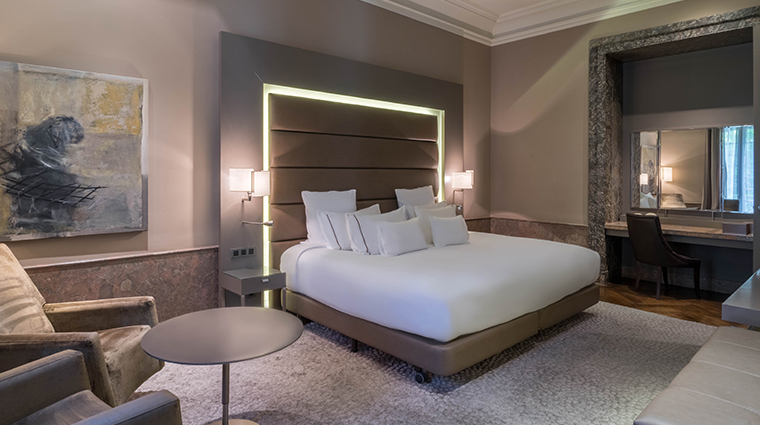 This Madrid hotel puts you within arm’s reach of some of the city’s most popular attractions, including Paseo del Prado and the Golden Triangle of Art, Retiro Park and the Puerta de Alcalá monument.